Our Population Health solution is an automated process that allows providers to communicate with certain groups of patients with similar conditions that may be experiencing gaps in their Healthcare. The goal is to improve overall health by identifying the most at-risk patients, making the best clinical decisions for their treatment and taking the appropriate actions to enable successful, collaborative care. Based on selected protocols and evidenced-based clinical quality measures, patients are alerted to take actions specific to their treatment plans, such as scheduling an appointment with their physician. Healthcare providers across the country depend on our Automated Calling Suite (ACS) to remind, alert and inform their patients. From simple broadcast messaging for mass notifications, to intelligent personalized message templates, GBS offers a variety of solutions to stay connected with patients through automated calls, texts and emails. Information can consist of appointment and care reminders, scheduling options and Healthcare tips and alerts. 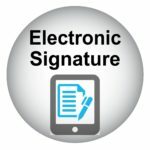 EasySIGN offers a simplified approach to solving the challenge of accurately collecting patient data, including signatures, photos and scanned ID cards. Data is captured and processed electronically to ensure that all forms, consents and patient information is stored in the Electronic Health Records (EHR) or archival system for safekeeping. EasySIGN can be used throughout the practice or care facility (front desk registration, exam rooms, etc.) on computers, tablets or mobile devices. 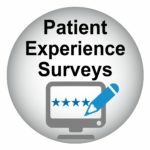 The Clinect patient experience platform excels at collecting, measuring and presenting data to assist providers with improving patient satisfaction. It provides service- and condition-related surveys and touchpoints to patients immediately following their visit, allowing providers to monitor, manage and react to their patients in real-time. Because responses are handled away from the facility, patients can respond in a more thoughtful and complete manner. Rely on GBS’ Patient Engagement experts to help you define a strategy that will best work with your organization. For additional information, please contact our Healthcare specialists at 800.860.4427.